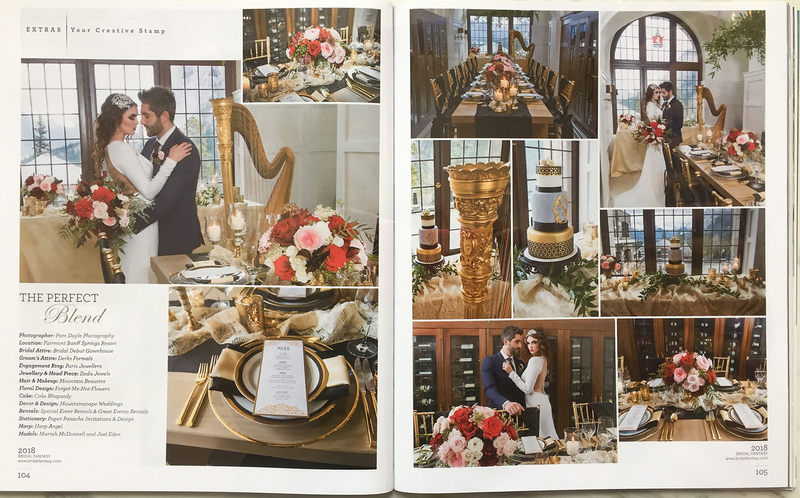 A creative collaboration with the vendors of BanffBride.com resulted in this two page photo spread in Bridal Fantasy, Your Ultimate Wedding Guide’s Spring/Summer 2018 issue. The setting is the new wine room at the Fairmont Banff Springs Hotel in Banff. The room was elegantly designed and decorated by Mountainscape Weddings of Banff . The beautiful flowers were provided by Forget-Me-Not-Flowers of Banff. The gorgeous harp was one made magical by musician Deborah Nyack, Harp Angel who can be seen playing in the lobby of the hotel and at weddings and events. Beautiful model Mariah McDonnell’s hair and makeup was done by Mountain Beauties The amazing wedding cake was created by Cake Rhapsody of Canmore and the chair, place settings and decorations provided by Special Event Rentals of Banff. And adding to the magic was Paper Panache Invitations and Design , Paris Jewellers , Zada Jewels , Derks Formals , Bridal Debut Gownhouse and Great Event Rentals. 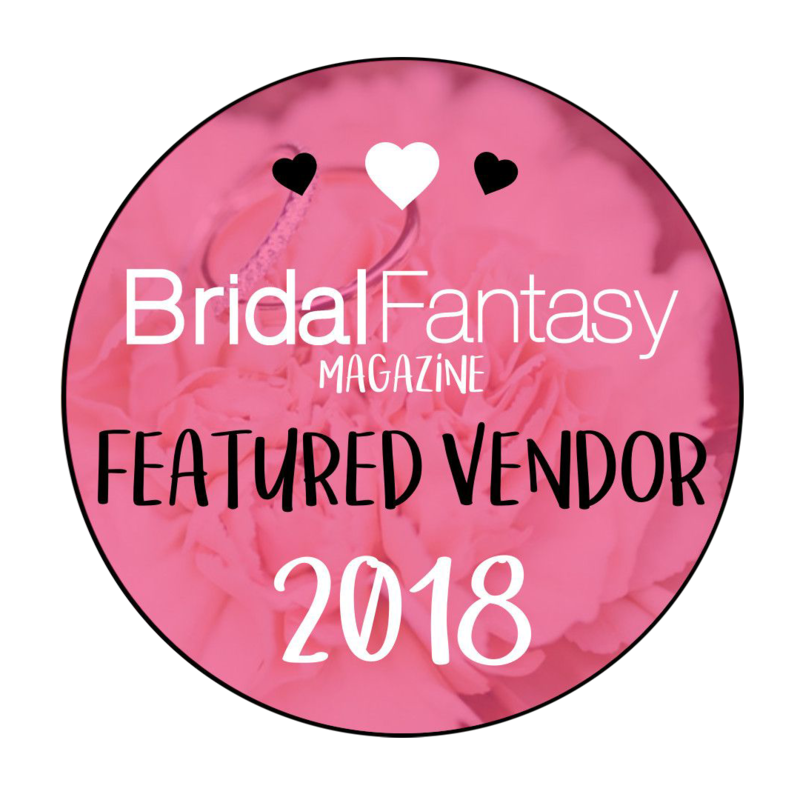 It was a pleasure for me as Pam Doyle Photography to have the opportunity to take photos of the amazing scene, aptly named the “Perfect Blend.” The magazine is distributed at bridal fairs and magazine outlets and the current issue can also be found here at Bridal Fantasy magazine.